The professional library for staff is located at the Educational Support Center (ESC) and is managed by the ESC Data and Media Services Clerk. The library offers professional books, DVDs, kits, models, big books, science and manipulatives. 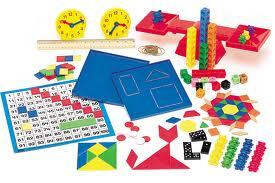 • Calculators, blocks, tiles, counters, rods, etc. • Other items such as models, globes, fossils and compasses. The Library Catalog will provide specific title information on materials available for check out. The Library Catalog can also be found on our website under: District, Staff Resources, Library Catalog/Follett Destiny.